If you are looking for your next DIY project, or need a solution to hold back a dirt wall for a new walled garden or concrete driveway, a retaining wall is a solid DIY solution. A block retaining wall is a structure built to hold against the lateral pressure of soil, typically built where there is a dig out of a slope or hill. 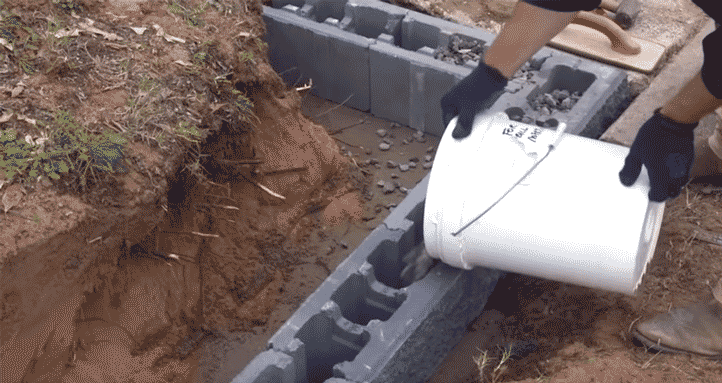 These retaining walls are simple enough for a nifty weekend warrior to tackle, though you could still hire a contractor for all or some parts of the project. The great thing about a DIY retaining wall is that it’s a fairly straight forward DIY residential project. If you’ve had experience with marking up and pouring concrete you’ll have a leg up, but otherwise it’s a great first DIY project for anyone with a smidge of construction or manual arts experience. Projects like this also make for a great introduction to construction work for teenagers, and could even prove to be a family bonding/educational experience to kill time on the weekend. 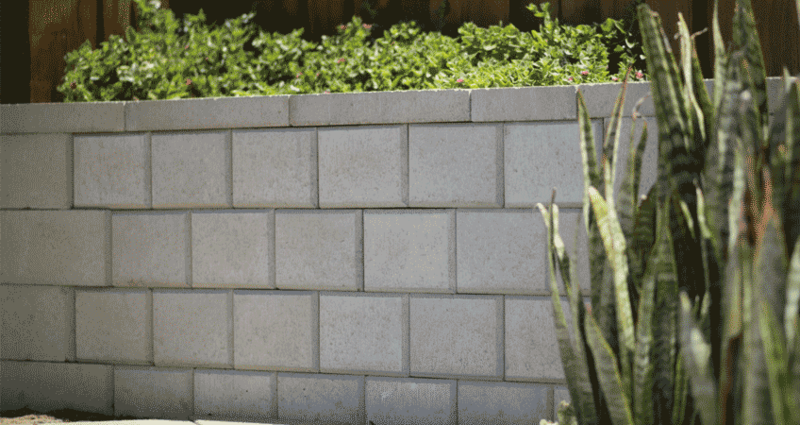 With all this in mind, we’ve compiled a basic step-by-step guide, along with a few tips and tricks to help you visualise, plan, and tackle a DIY retaining wall project. 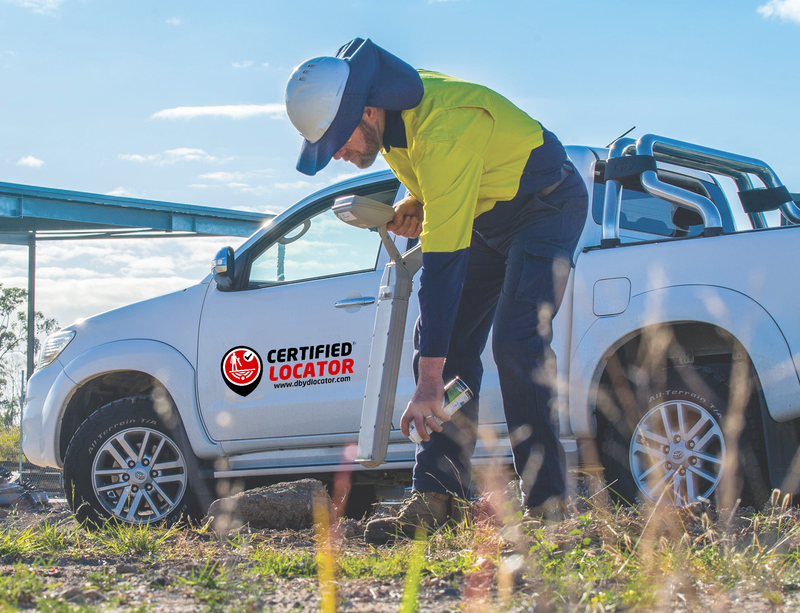 Contact Dial Before You Dig and identify any subsurface utilities. Work out your property boundaries. Work out the desired location, height and scale of your retaining wall. Finalise your plans and ensure you have permission to build - depending on your State/Council, your wall may need to gain a neighbours approval if it is close to their property boundary. Mark out project area with spray or pegs. Be sure to mark out a wide enough area to allow room for a plate compactor (about 450mm wide). Using a backhoe or mini excavator, excavate a trench to allow for 130mm of compacted road base and 30mm of sand and cement mix. Remove excess soil responsibly. Lay 150mm of road base, and use plate compactor to reduce road base to 130mm. Lay wooden forms, and lay rebar or reinforcing mesh. For rebar, install ½ inch in a 1 feet grid pattern with vertical rebars (centered and just under wall height) spread roughly 2cm apart along the length of the wall. Lay cement and sand mix. Make sure to keep it damp, not wet. If ground is sloping (climbing wall) - start at lowest point. 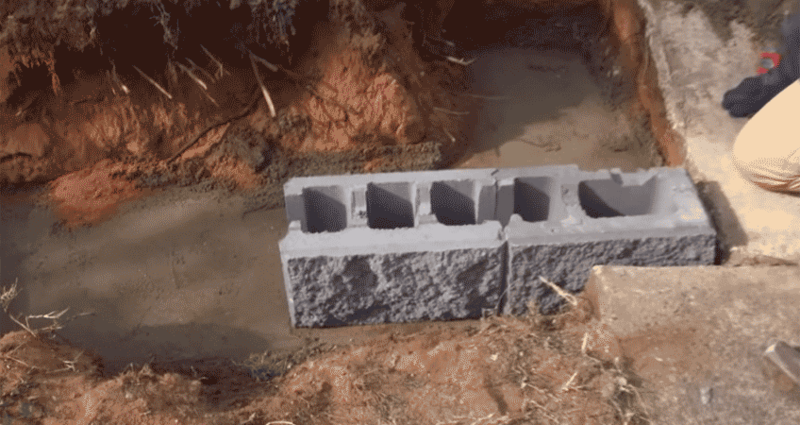 Ensure blocks are interlocked and set firmly in cement. Fill bricks with gravel (blue metal aggregate). Ensure course is level. Depending on your environment, if it rains often, it could be beneficial to install a drainage pipe on the soil side of the wall. This will help prevent pooling and mitigate drainage issues that may erode the base of your project over time. Always infill and backfill with each layer - continue to fill with blue metal aggregate. Using a hammer, remove the lugs (see image below) from the top layer of the bricks. 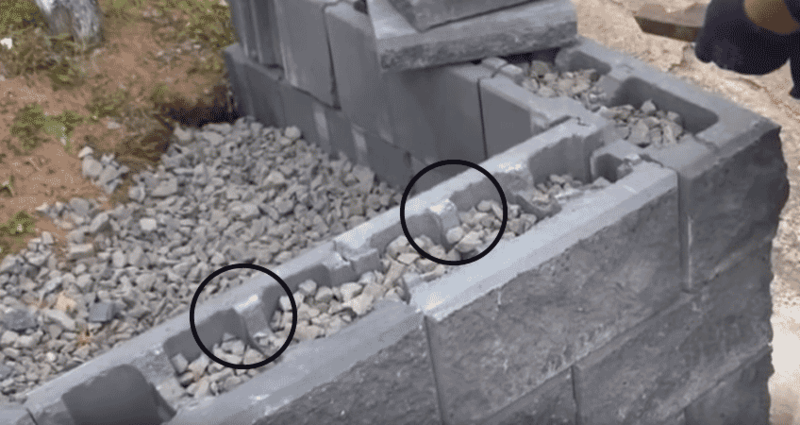 Lugs are the bit of concrete that protrudes out from the rectangular shape of the block, where removal allows for the top layer of bricks (capping stones) to sit level. 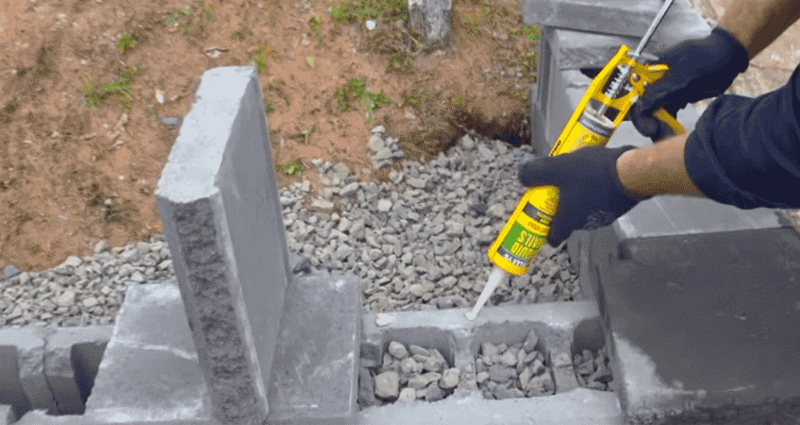 Lay the top layer of bricks and glue down with a landscape adhesive. Unlike the blocks underneath, these capping stones are typically flat and solid. You’re all set! Just be sure to let everything dry and cure over a week period before leaning, walking or sitting on your new retaining wall! What machines do I need to build a retaining wall? From land clearing and excavation to concrete pouring, iSeekplant has you covered with all the services, machinery, and equipment you need for your next DIY project! What materials and equipment will I need to build a retaining wall? The cost of a retaining wall can vary greatly depending on materials used and scale of the project. As a ballpark estimate for a DIY retaining wall, you could spend anywhere from $400 to upwards of $2000 for the whole project, covering materials, machinery and equipment hire. 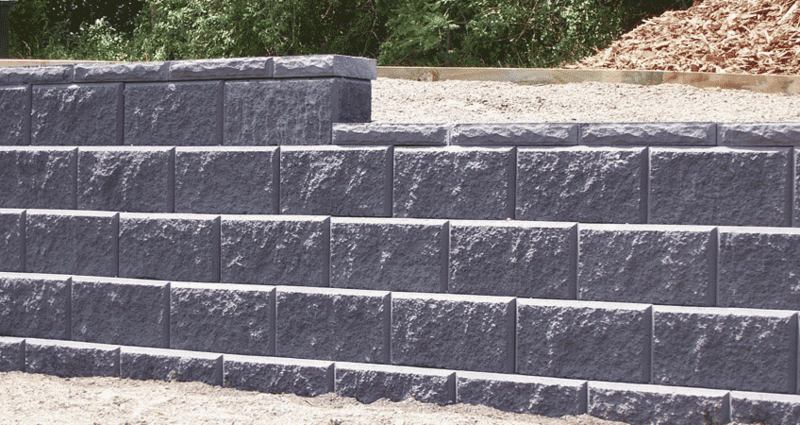 Where to buy retaining wall blocks? In Australia, you can typically find interlocking blocks going for $3 to $8 each at your local Bunnings or home hardware store. You will likely need a ute or pick-up truck to transport a variety of goods and materials, although some larger hardware stores now offer delivery. 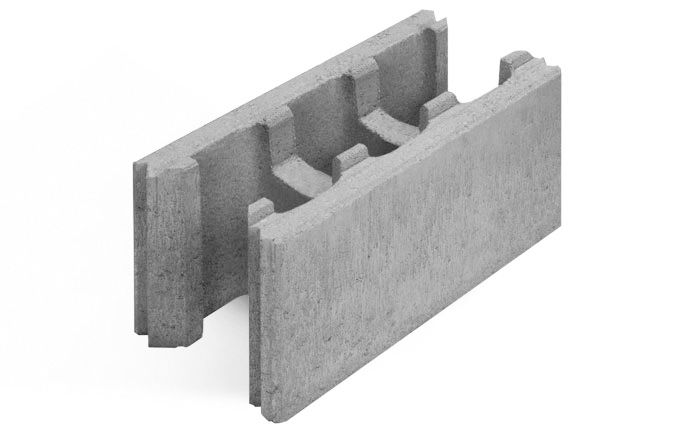 You can also find interlocking brick suppliers online who offer pickup and direct shipping. Be sure to purchase the right block caps too. In light of this, our directory is chockablock full of suppliers, machines, and equipment to help you with your newest residential or commercial challenge. 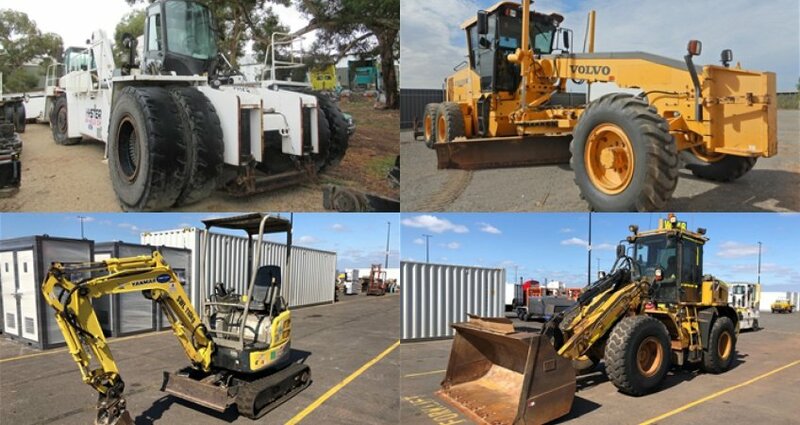 From land clearing and excavation to concrete pouring, iSeekplant has you covered with all the services, machinery, and equipment you need for your next DIY project! For more DIY projects - check out our other guides on building a pool and building a concrete driveway.